Past Pupils from St Mark's High School, Warrenpoint, hosted a reunion for Class of 1986 recently and donated proceeds to PIPS Newry & Mourne, Southern Area Hospice and St Mark's Special Needs unit. PIPS Newry & Mourne were fortunate to receive a total of £150. 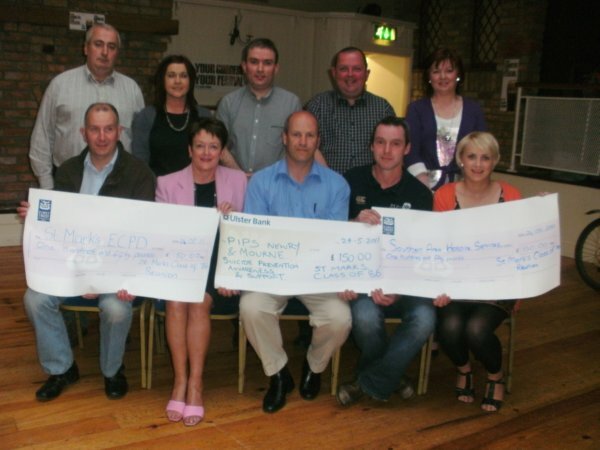 Pictured are members of the organising committee, past pupils and cheque recipients including our PIPS Newry & Mourne representative Eamon Murphy.